Super cute and super scented. These make perfect candles for gift baskets and holiday decor. 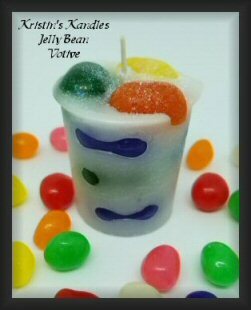 Colorful jelly beans embedded in white wax with jelly bean scent. 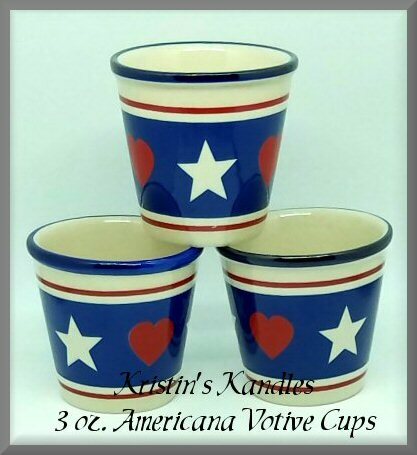 Cute red, white and blue ceramic votive cups. The hearts and stars on these cups are adorable and fit our votives which are sold separtely.